Hi. So we came long way. If you spend a lot of time dealing with SCOM you will probably encounter some bug or problems in software. From time to time Microsoft release Update Rollups. They are usually fixing noticed problems, or sometimes create new one . Developers! Installation is not so straight forward. Like with management packs you need to read installation manual. UR2 is current version. You can follow instructions on this KB article, or follow next lines. 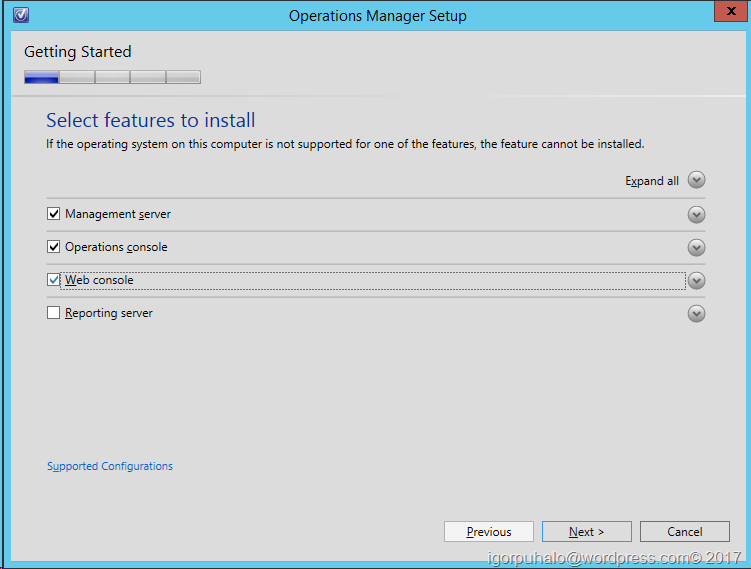 There is specific order of installing UR-s. You will install it in next order on all server that host specific role. 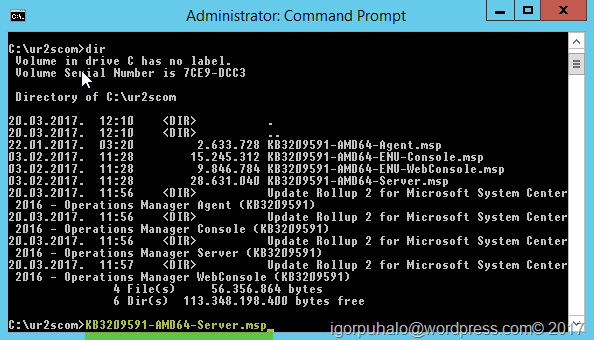 First of all open command prompt as Administrator and navigate to you extracted files. 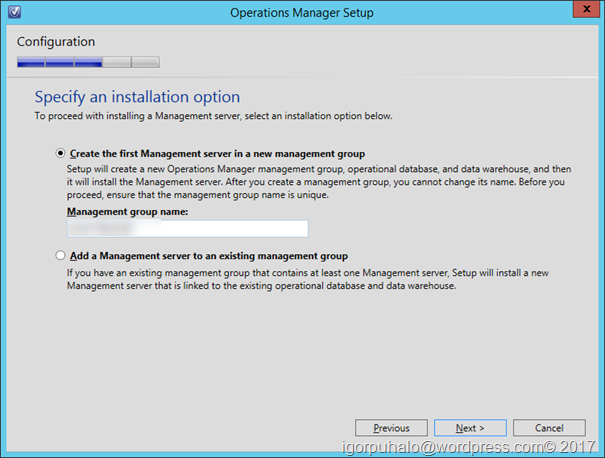 First we install management server UR on all servers with that role. 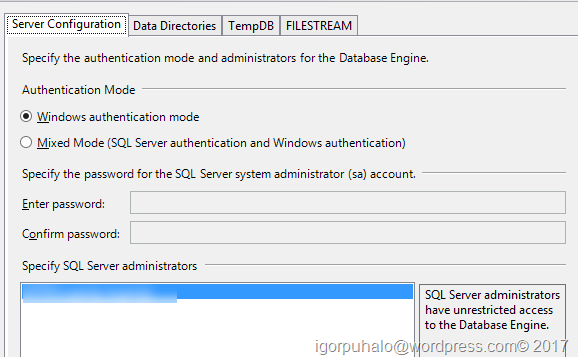 After that repeat the same process for web console, getaway and operations console role.Second step includes connecting to SQL server that hosts SCOM databases, and running Update_rollup_mom_db.sql sql script on OperationsManager database. Script is located in %SystemDrive%\Program Files\System Center 2016\Operations Manager\Server\SQL Script for Update Rollups. Script can take some time if you have big database. Be patient. Usually I choose everything and then delete unnecessary MPs. Full list after selecting all MPs is presented on next picture. First thing you will remove from the list is all language resources other then ENU. If you use some specific language listed choose it accordingly. After that we check up on agent installed on monitoring servers. (We will installed agents on monitored computers in later blogs) All server that need update will be in Pending Management. Select servers in your preferred manner and install updates to agent. Last thing but not least is to update your consoles on all computers that have one installed. Lets do one simple thing before weekend. Lets activate SCOM license. 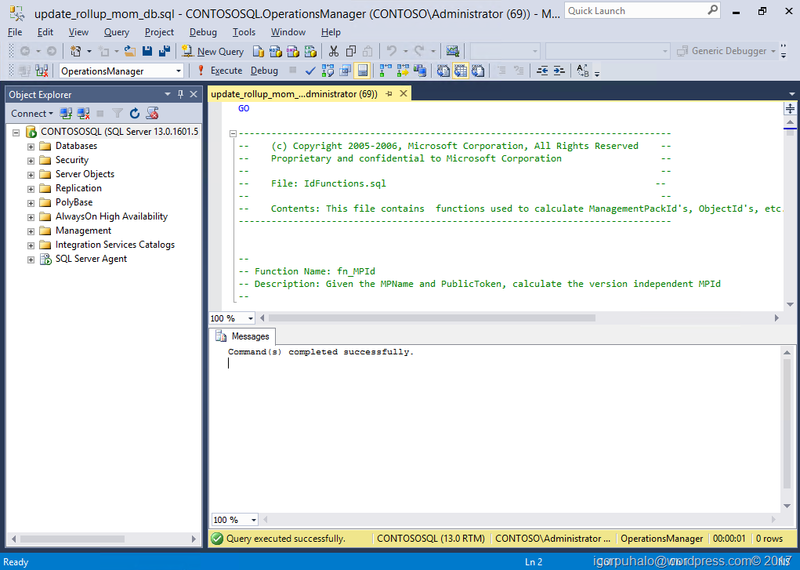 If you open SCOM console in Help > About section you can notice that this version is Evaluation copy. Evaluation copy can work 6 months. To find your license key, you will need to go to Microsoft Licensing Service Center and under downloads for System Center copy you license key. 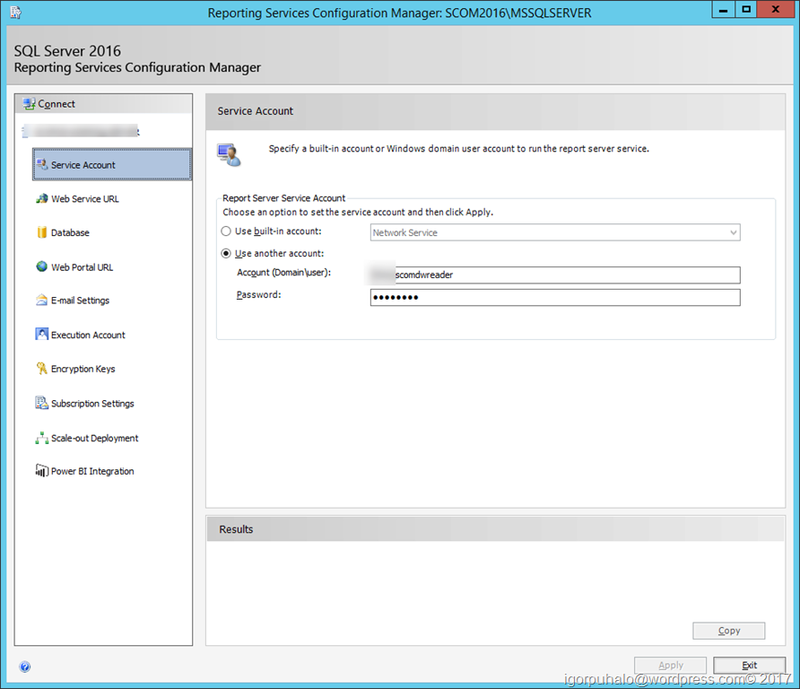 From times of SCOM 2012 management servers can run on multiple computers for redundancy and workload offload. Before there was only one management server and usual place were SPN (Service Principal Name) was added was its computer account. 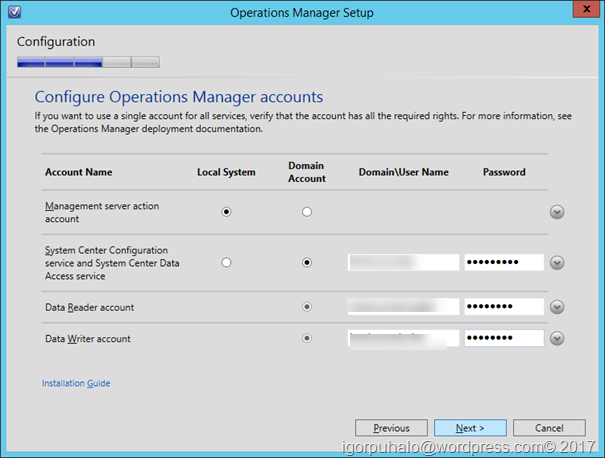 Today we use domain user account for running this service on multiple servers and SPN should be placed there. So lets list SPN for account we use. We use setspn command. The EXECUTE permission was denied on the object ‘sp_help_jobactivity’, database ‘msdb’, schema ‘dbo’. New features, new problems. 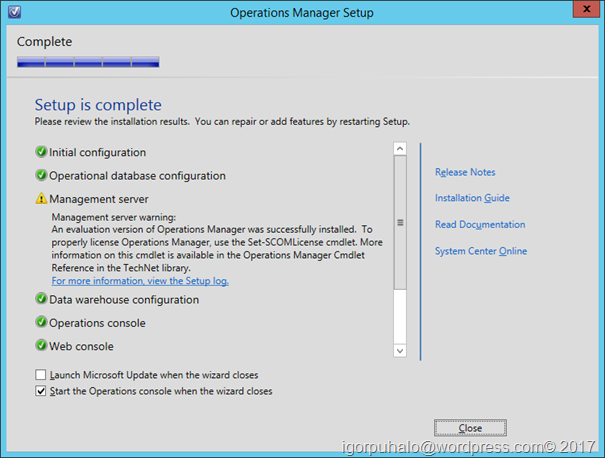 This is second error you will receive on SCOM 2016 installation only. If you did all by the book and you click Maintenance Schedule you will get this error. You will see it also in Operations Manager event log even if you didn’t try to use Meintenence schedule. What to do? 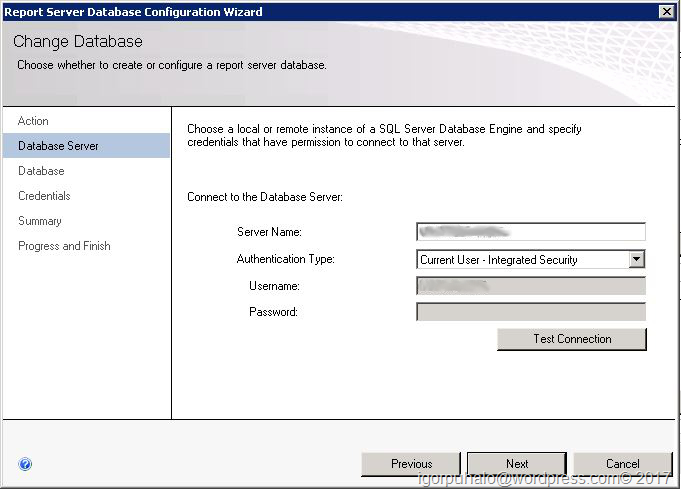 This is purely missing permissions of SCOM sdk account on SQL server. 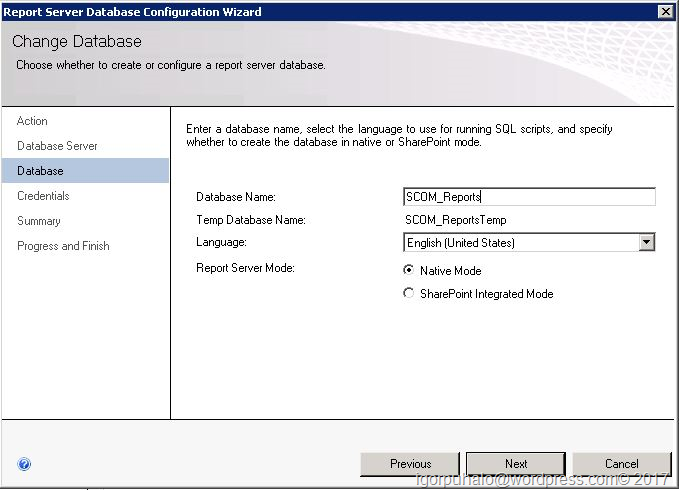 so to solve this one install SQL Management Studio if you didn’t already and give you SCOM SDK account next permissions on msdb database. Error is fixed now and you will not see it in the future. Lets install Reporting server now. I needed to change my design because I read note below on TechNet. It means if you use web console and want to access Reporting, you will not be able to access it if you installed this role on server different than web console role server. 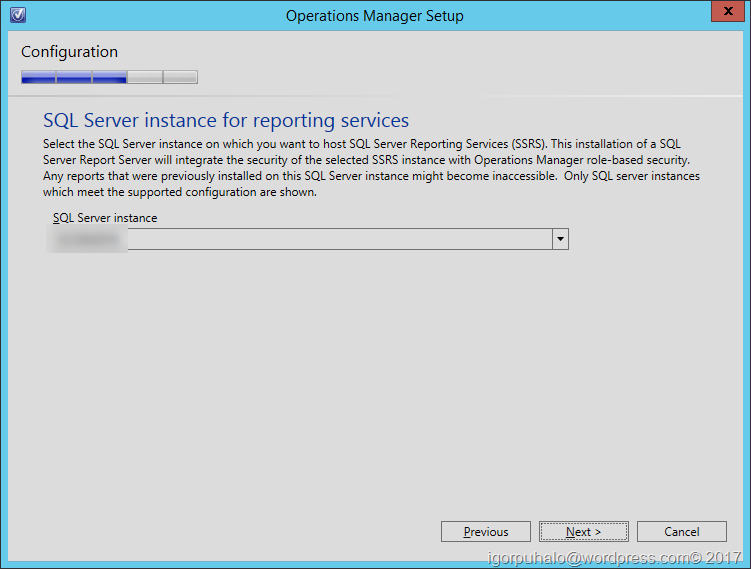 So I needed to install reporting services on management server and not on SQL server like I planed. 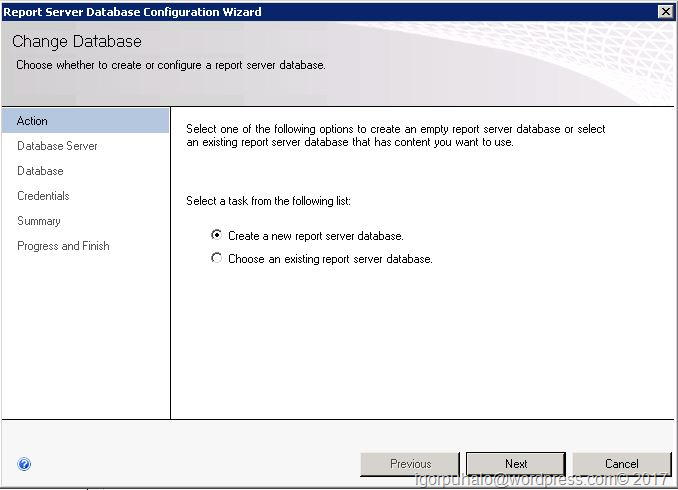 On the same TechNet link you can find all steps required to check if your Reporting services are configured correctly. 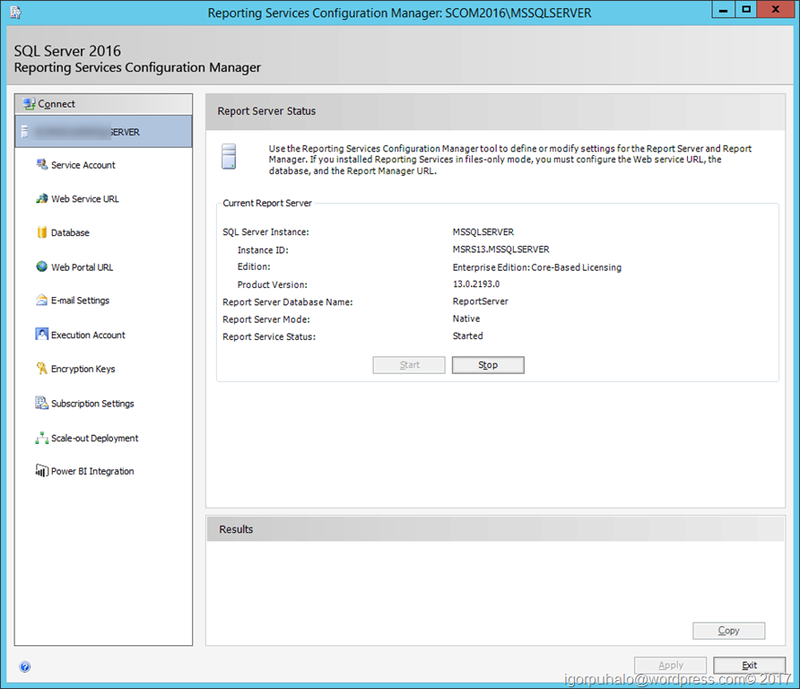 Still, if you pass next steps, you are good to install SCOM Reporting server. 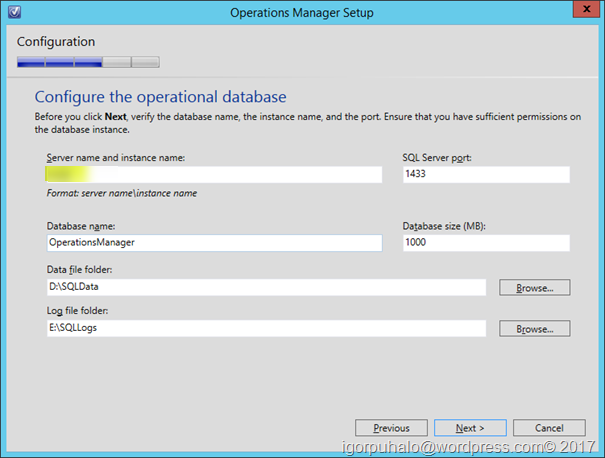 If you encounter SQL Server instance empty problem when installing Reporting role please read this blog System Center Operations Manager 2016 Step by Step– Part 16 – Installing Reporting role on remote SQL installation? 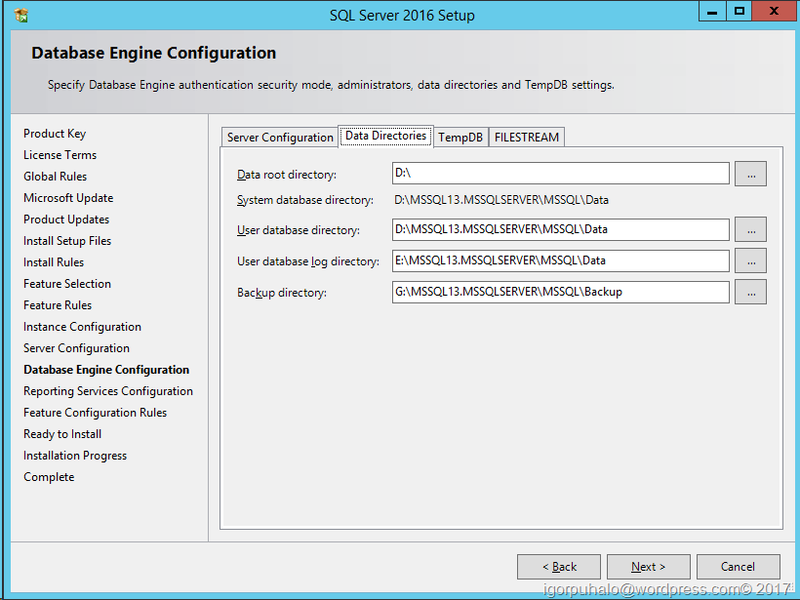 Missing SQL instance!? 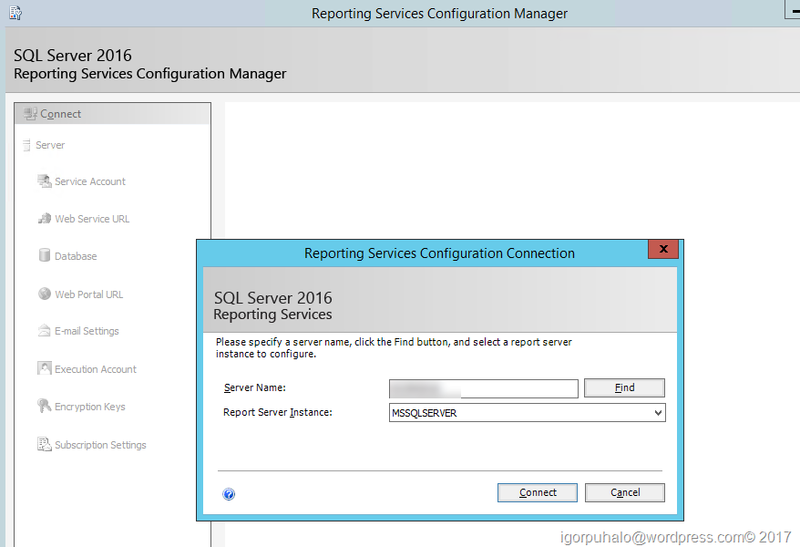 Although SQL Server Reporting Services is installed on the stand-alone server, Operations Manager reports are not accessed on this server; instead, they are accessed in the Reporting workspace in the Operations console. 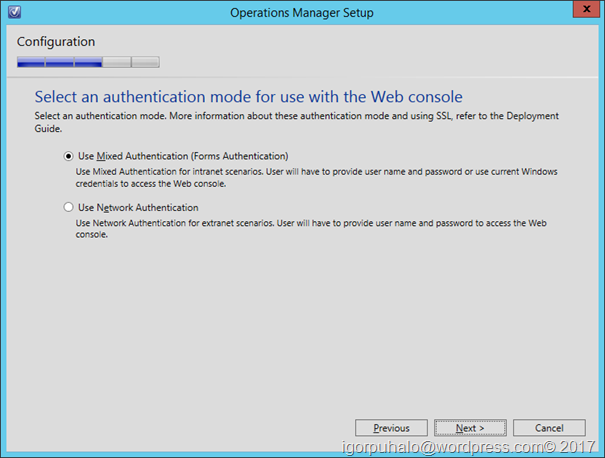 If you want to access published reports via the web console, you must install the Operations Manager web console on the same computer as Operations Manager Reporting server. I installed Reporting Services (in Native mode) on server. 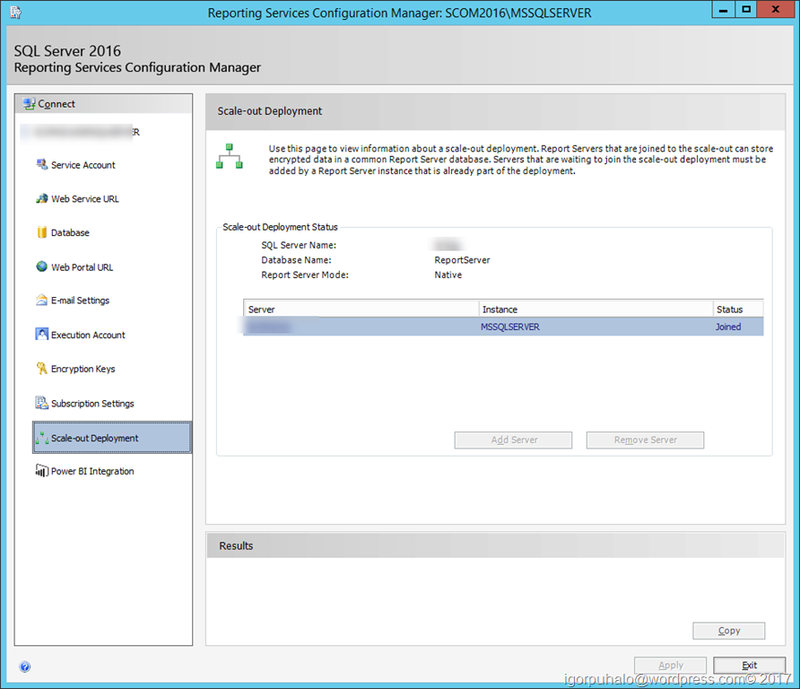 Open Reporting Services Configuration Manager and connect to you Reporting instance to configure it. Check that you Reporting Services are running. Go to Service accounts. You need to enter here you Data warehouse reader account. 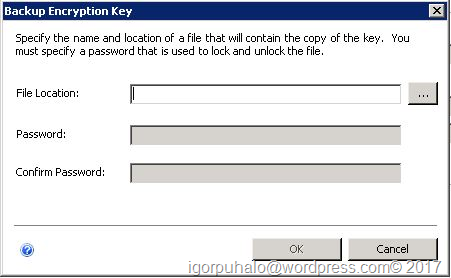 When you enter it it will ask you for backup encryption key location and password. It is used to encrypt all communication of Reporting service. Store it on safe place together with password. Open Web Service URL and click apply. When you click on URL and open it in browser you should get next data. It means Reporting Services are available. Go to Database page. 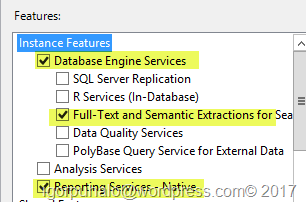 We need to create Reporting database on SQL server. 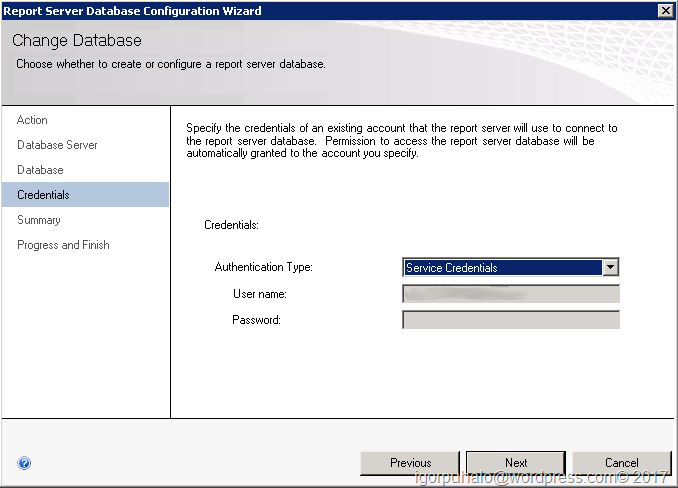 On Execution account page enter DWH reader account again. One more thing to check. Go to Scale-out Deployment. Your Reporting Services server should be joined. Your SQL Reporting Service instance should be automatically shown on this page, or if there is more then one?! choose yours. 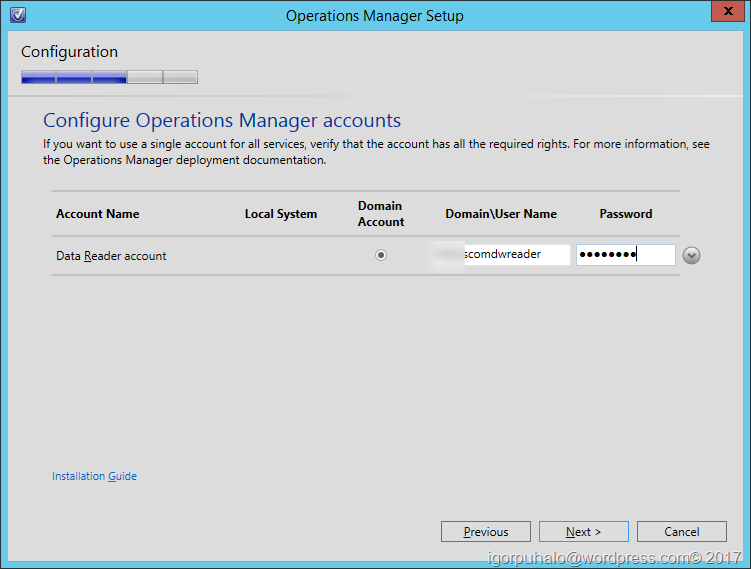 You will enter here you SCOM DWH Data reader account. Go thru three next pages and start installation. 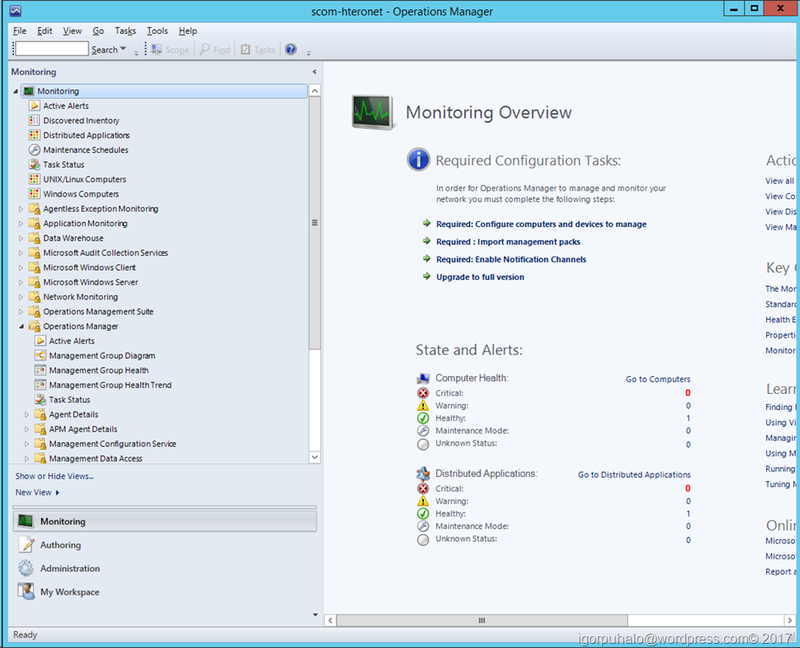 If everything is green, you have SCOM Reporting server installed. And now lets do easy part clicking next buttons. Just to remind you. 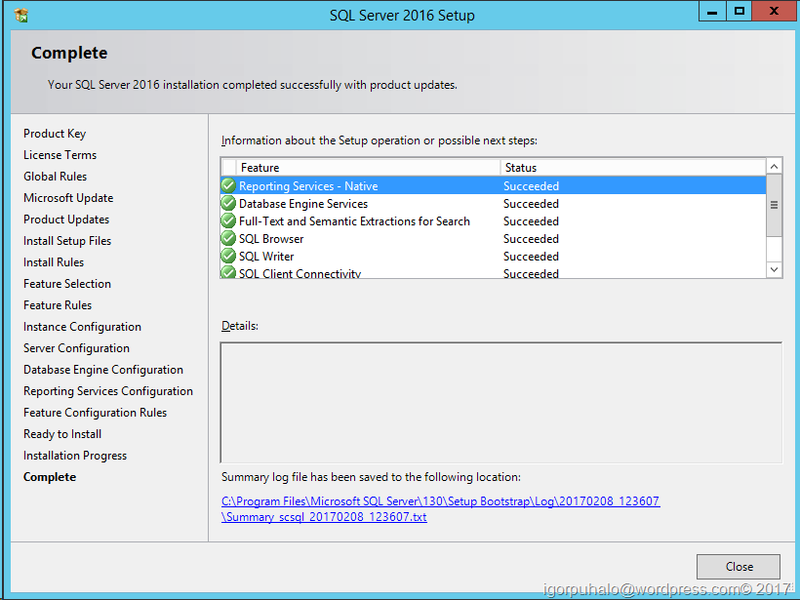 We are installing SCOM 2016 on one server that will be management, web console and reporting server and another server that will host SQL workloads. Start setup.exe and click on Install. Console will open and everything is set to go. One thing remains. If you remember, we created AD group that will be SCOM administrator. 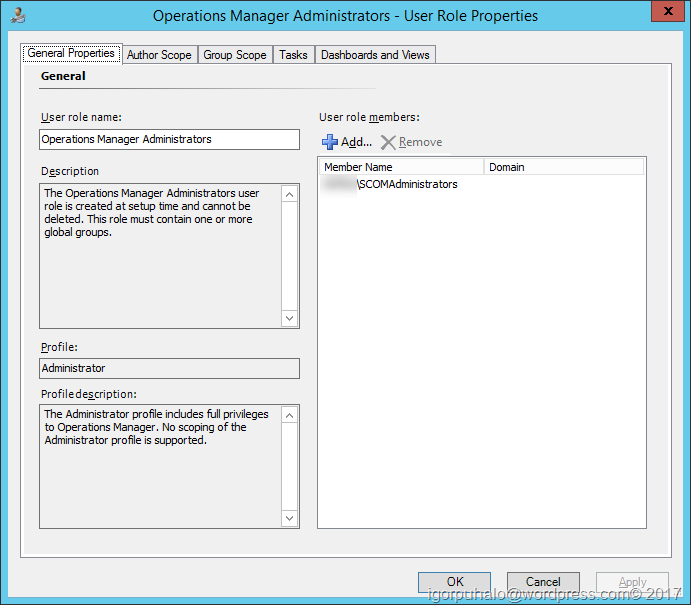 Please go to administration pane > User Roles > Operations Manager Administrators. 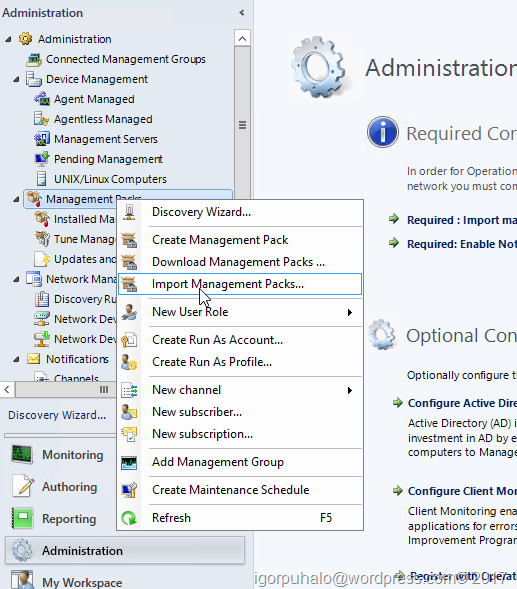 As you can see BUILTIN\Administrators is default administrators in you SCOM environment. 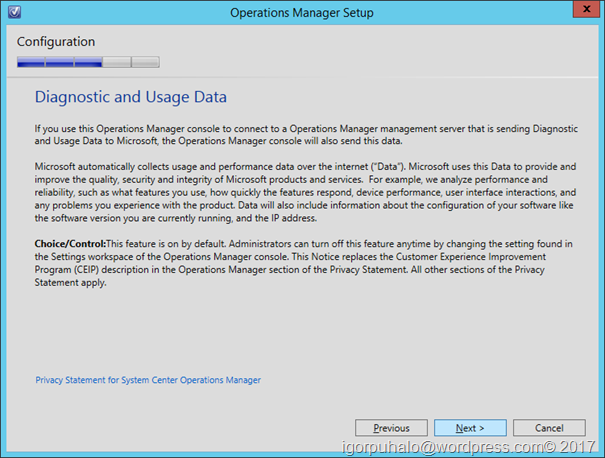 Delete it and add your SCOM administrators group. I saw today that I wrote last post almost a month ago. It took me almost a month to go back to what I started to do. 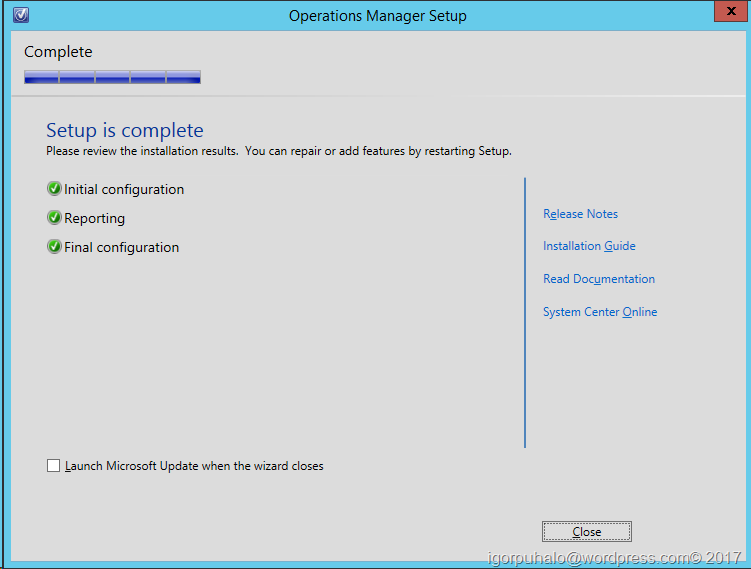 Installing SCOM 2016. 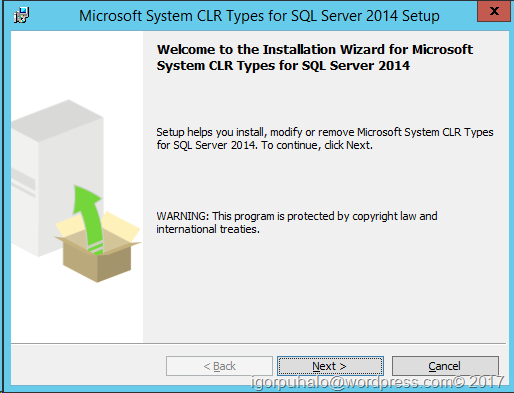 In last blog post we prepared SQL server for installation. Yesterday I was checking on event logs for SQL, and there was some errors. 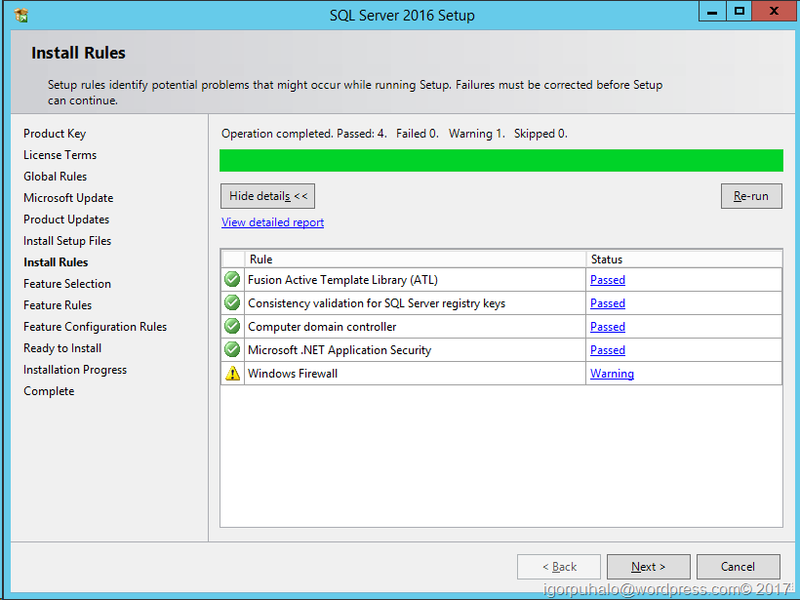 So please install CU 4 for SQL 2016 RTM to suppress these errors. Lets continue. 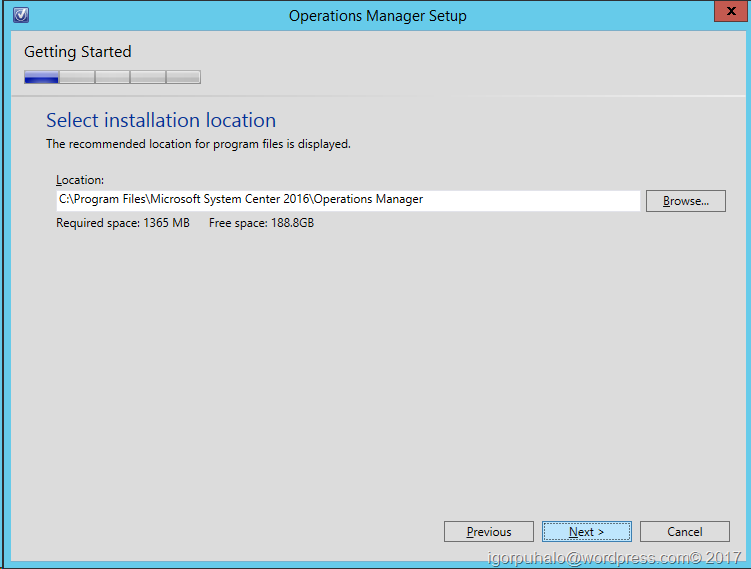 I want to prepare for SCOM installation. What I need to install beforehand? 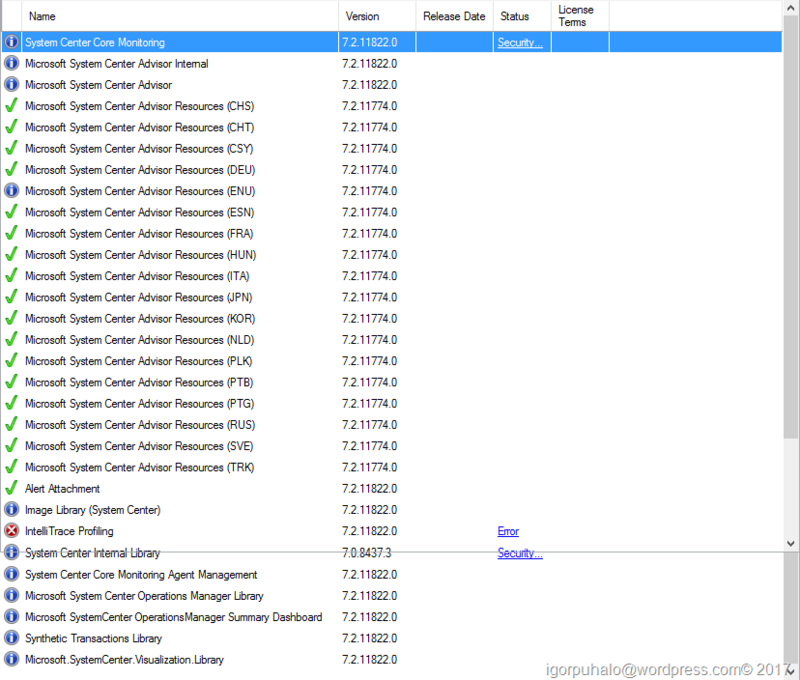 All prerequisites you can find on TechNet System Center guide page but I will simple it up. First thing is Management server. 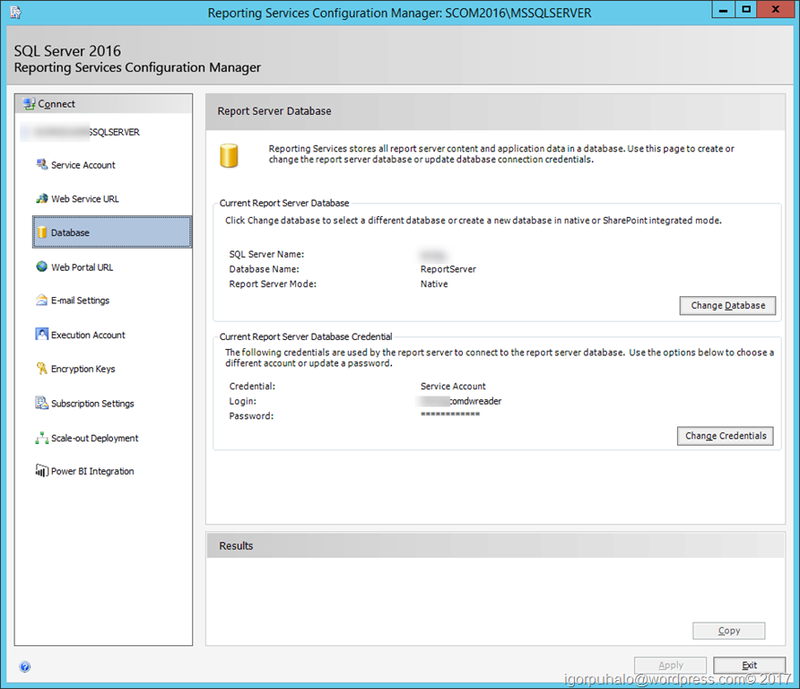 You will install SCOM console there and you need to install the Report Viewer controls to any server that will receive a SCOM console. 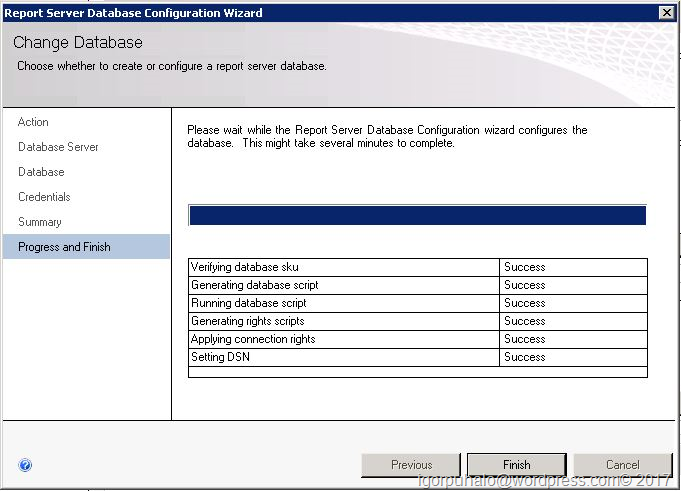 There is a prereq for the Report View controls which is the “Microsoft System CLR Types for SQL Server 2014” (ENU\x64\SQLSysClrTypes.msi) available here: https://www.microsoft.com/en-us/download/details.aspx?id=42295. 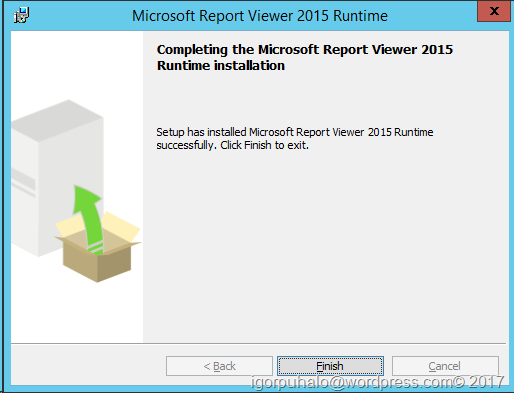 Install that first and after that install Report Viewer. So we finish prereq one. Lets go prereq two. 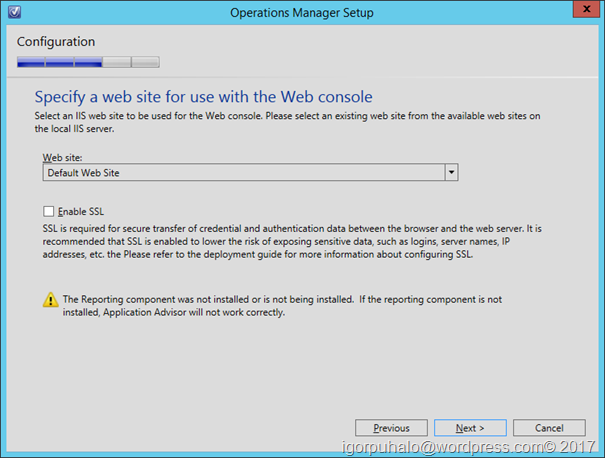 To install web console on any server you will need to install IIS with all of this options. Restart computer after this. Recommended by Kevin Holman. After that you will probably get new updates so update computer before continuing. 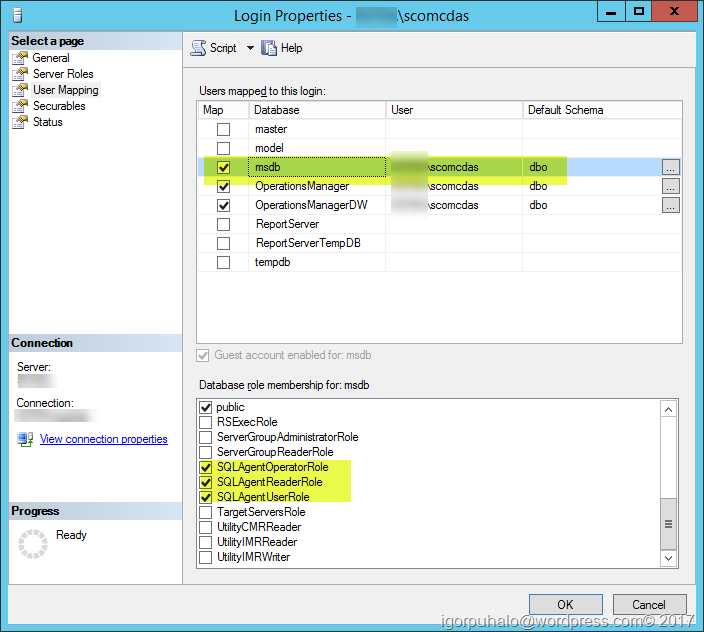 Add scomcdas, scomdwreader,scomdwriter and Scom server action account if you created domain one to ScomAdmins group. 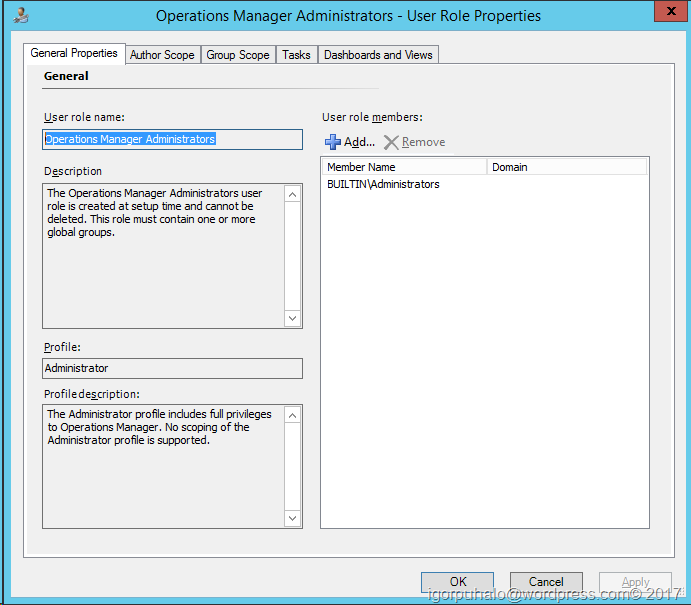 Add the “SCOMAdmins” domain global group to the Local Administrators group on each server. 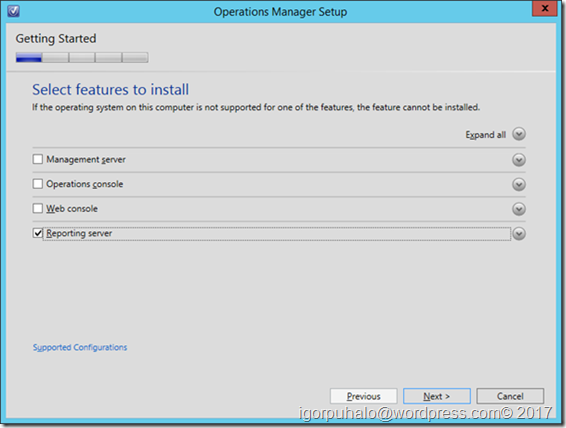 This is basic prerequisites for running setup of SCOM. See you tomorrow I hope. You can use version you choose, because if you remember SQL license is free for System Center products. With only one rule, just use it for System Center products databases and nothing else. Enter you domain service accounts for SQL services and give services automatic startup. 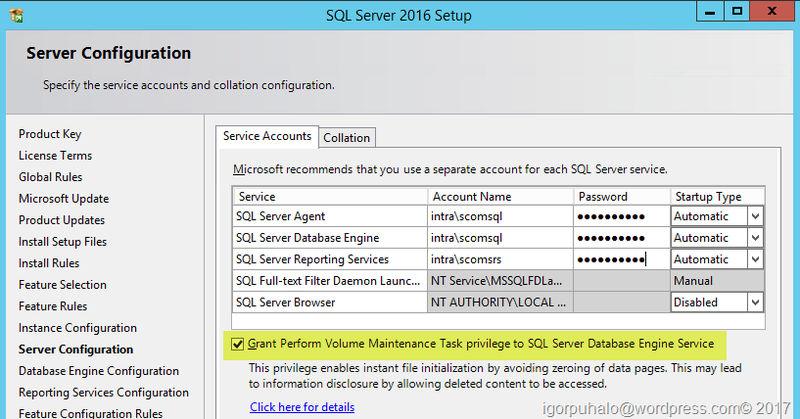 Also check Volume Maintenance Task privilege to use this new SQL feature. You setup your database and log files as you can, but rule of the thumb is to format those drives with 64K allocation unit sizes, and if you have possibility put your tempdb database and log on SSD drive. It is best to leave that volumes only for databases. Click next on Feature Configuration Page if everything is green and then Install on Ready to Install page. As you can see I have 35 agents installed. 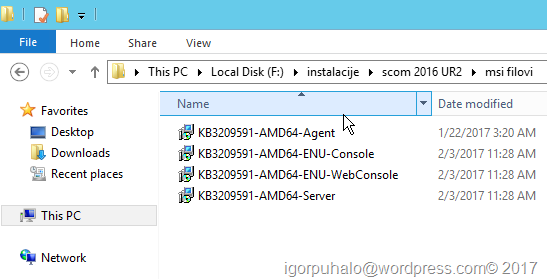 If you are unfamiliar with the term, it is every computer that have SCOM agent installed (MMA – Microsoft Monitoring Agent). It is not some representative number. Still I think it is more common then people think. But still there is much more hidden workload that is not accounted in this number. You will probably want to monitor some network devices too. Or maybe even storage or some other SNMP enabled devices. Lets count them with PowerShell. As you can see there is some IP addresses there. They are some optical switches, tape library, storage etc. That is not all but lets stop there. Where is it running now? You will be surprised! All of this is running on just one physical HP DL380 G5 server fully populated with disks and 32 GB of RAM with SCOM environment installed including databases (I mean DWH&ACS database too). But please don’t go there. This server was installed in time of SCOM 2007 R2 version when that was enough for that workload. 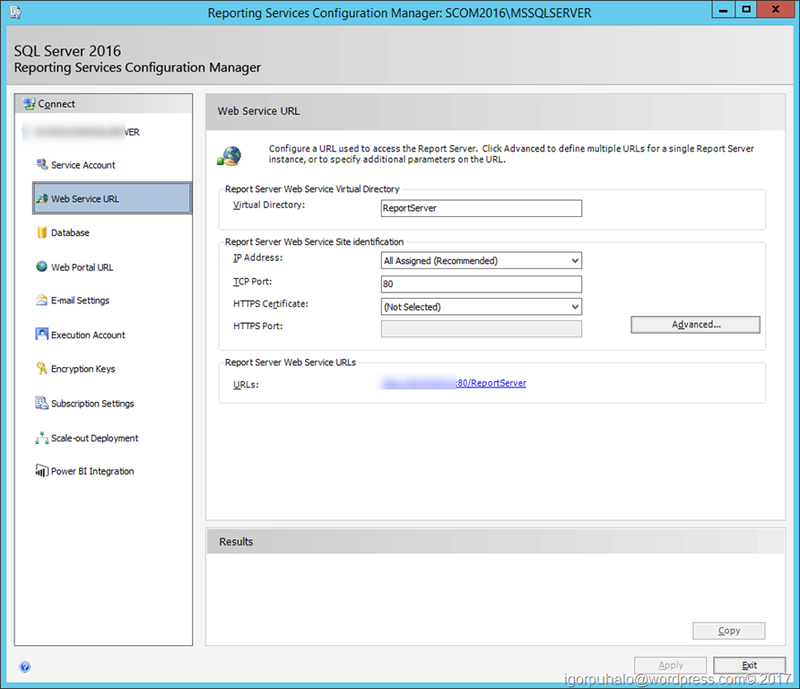 I needed to tweak a lot of things to get it running on current SCOM 2012 R2 version. It survived couple of SCOM upgrades in between . Console was slower but it worked. I am now more clever and I will do fresh start. So what configuration can easily chew this environment. I found some servers in our warehouse with next configuration. What is important here. First of all, please separate SQL workload from management server. Two reasons. SQL workload can be very hard on performance and will stand in the way of normal SCOM functioning. It will take RAM, processors, everything it needs to work. I don’t have anything against virtual servers. Management server can be virtualized in this configuration without to much fuss. SQL virtualization? Maybe, but that is you decision to make. So what we need for next time. 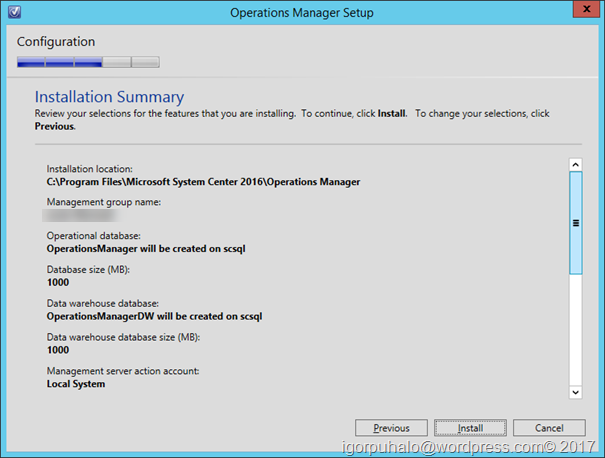 We will start with SQL installation. 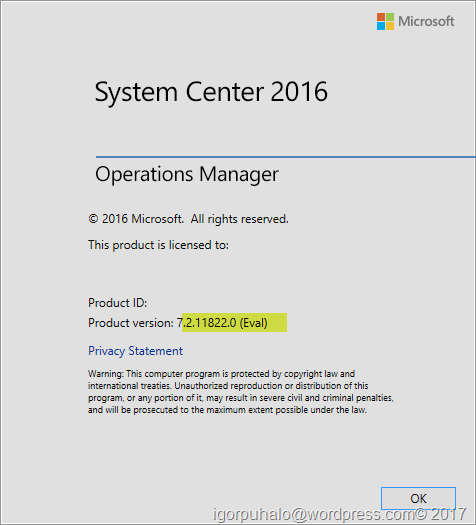 Because I want to run SCCM database here too, I need to consider what SQL version are compatible for both System Center products. 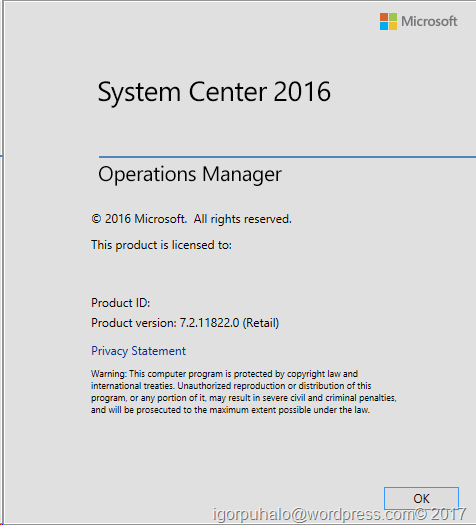 As I understood somewhere Configuration Manager is going on its own path besides System Center product. I still didn’t chew on that one, but it was always separate product for me. From times of SMS 2003. If you look at the SQL compatibility for ConfigMgr 2016 (I need to stop using SCCM) you will see that SQL 2016 SP1 is supported. I will try to install SP1 version and see if that goes. 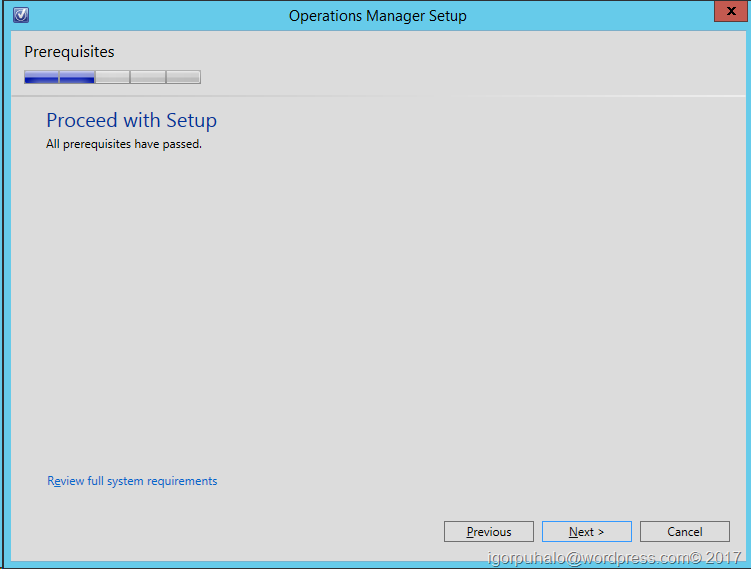 I didn’t found any documentation is SP1 supported for SCOM but I will look for it. 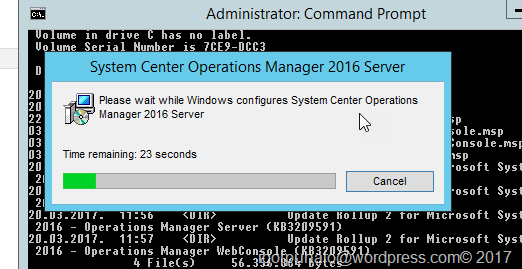 As you know SCOM 2016 is published last year. 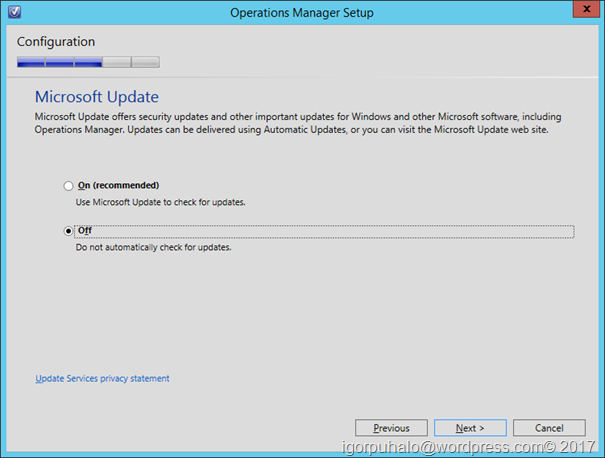 Like many others I also have a task to upgrade my SCOM environment to new version. That’s why I get idea to document my path and maybe help other on all problems that can occur. Probably there is some people that are installing this product for the first time. I will not write to much about theory of how SCOM works but focus mainly on all steps required to have functional and working SCOM environment. Especially I will take some time to explain configuration of some different management packs both Microsoft, vendor and community published. There is more, but lets stop here. It is more then enough to start with. So what is the first step. PLANNING! To have functional SCOM environment you need to carefully plan your workloads. How to size your environment? 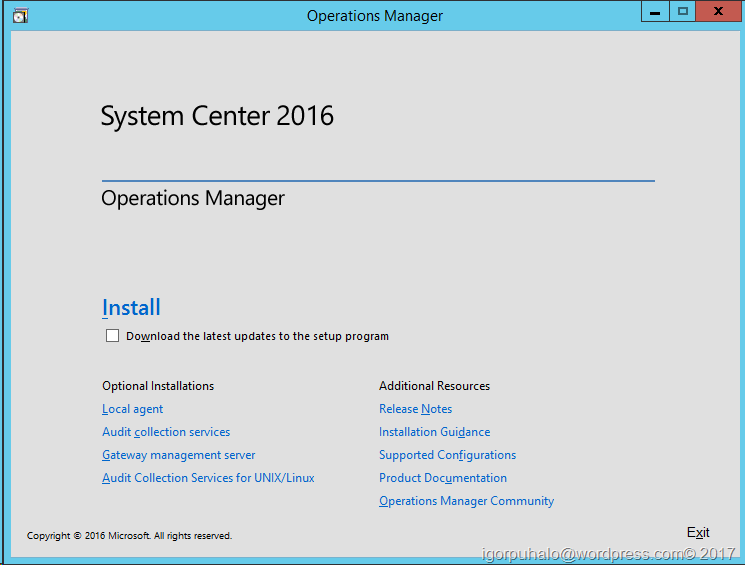 You can do it by experience from your previous deployments, but if you are new then you use System Center 2012 Operations Manager Sizing Helper Tool Excel sheet. 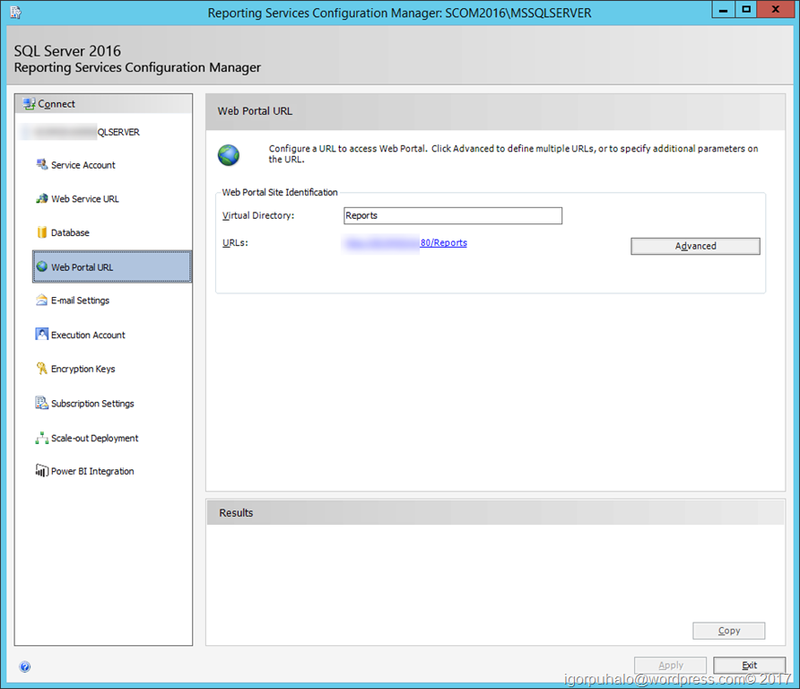 It is made for SCOM 2012 version, but it is usable for SCOM 2016. Only thing I saw is wrong in excel sheet is number of Linux/Unix computers you can manage with one management server. If I am not wrong number is doubled in SCOM 2016 so take that in account. I will not walk you on Excel sheet. You will need to go for yourself to discover your needs. Please be extra careful with designing database server. It is crucial in SCOM design. If you have some good SQL admin ask his advise. If you don’t know how to calculate IOPS requirements you can test them on you server. For that best thing to use lately (besides IOmeter) is using DiskSpeed Powershell script together with Diskspd Utility: A Robust Storage Testing Tool (superseding SQLIO). Be careful to put script into right folder with diskspd.exe file to get it running. When you succeed you get something like this. I need to run to other task that are waiting for me, but we will see each other very soon. Go thru this subjects and next time I will show you my imagined future configuration on almost purely experience basis.